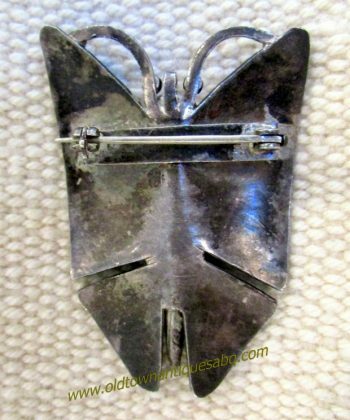 Circa 1930s, this is a heavy, slightly crude stamped butterfly pin. 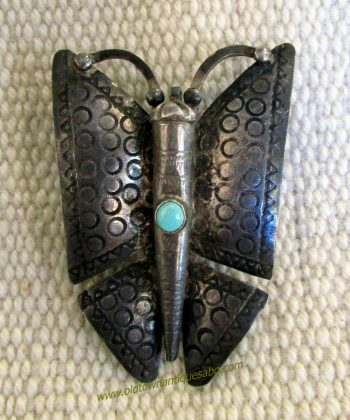 Made before figural pins became somewhat formulaic and quickly produced, this butterfly is heavy with relatively thick silver and wire used for the wings, and antennas and a solid silver button for the head and set with a single light blue round turquoise. I think the shelf-like pin mount should date this but I haven’t found the right reference yet. 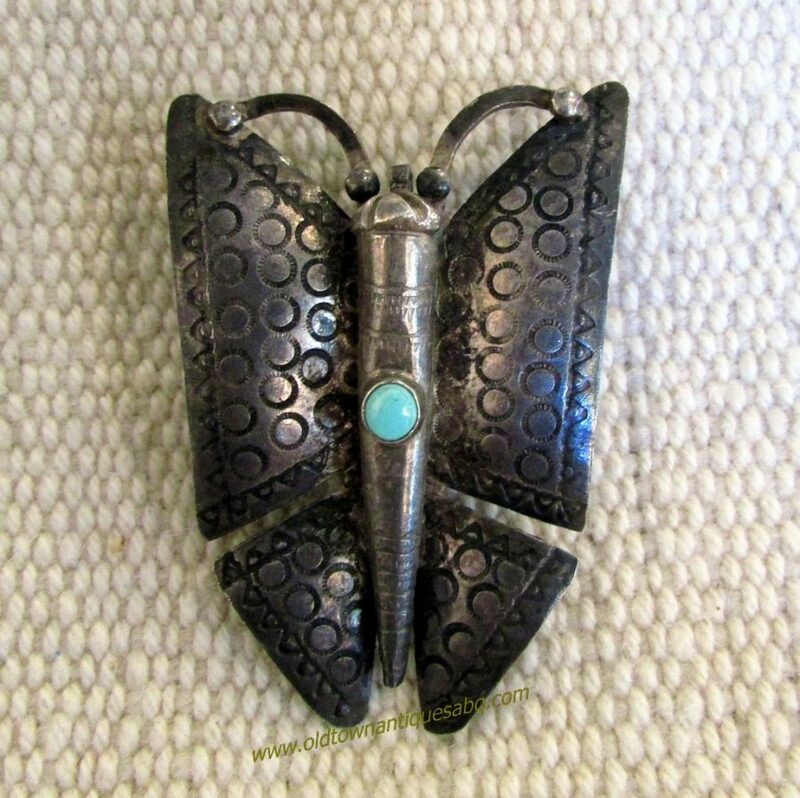 The carefully curled proboscis would allow one to wear this as a pendant as well. 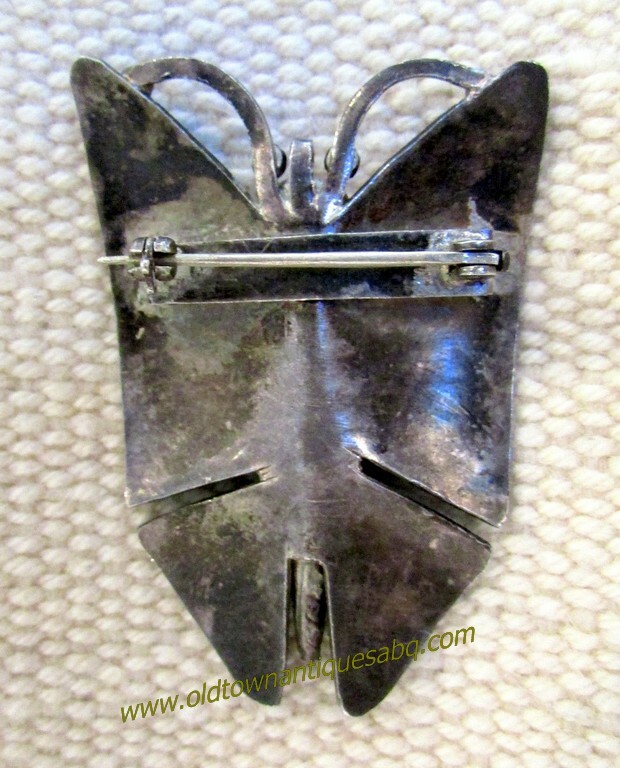 The butterfly measures 2″ tall x 1 1/2″ wide. Tarnish/patina is intact. No cracks or repairs.